In medium bowl, mix buttermilk and muesli; let stand 15 minutes. Add remaining ingredients; beat with whisk until just combined. Heat a lightly oiled griddle to 350°F (180°C) or a large non-stick skillet over medium-high heat For each pancake, scoop a little less than 1/4 cup (50 mL) batter onto hot griddle. 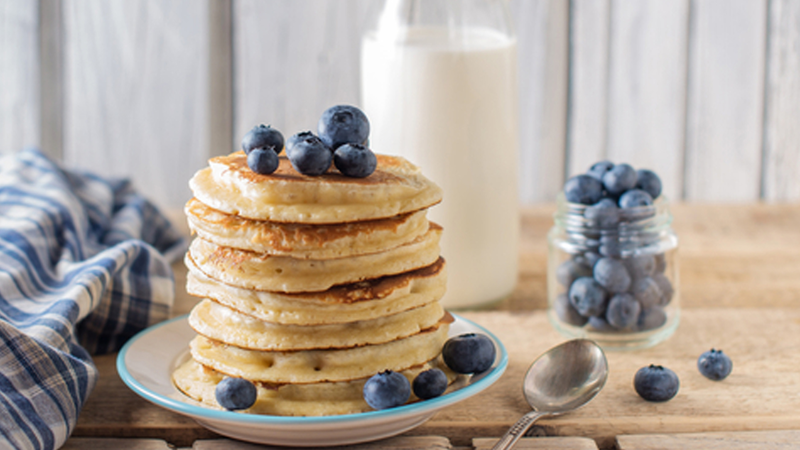 Cook pancakes until puffed and dry around edges. Flip; cook other side until golden brown. Top with syrup or yogurt and fresh berries. Try this recipe with Nature Valley™ Toasted Oats Muesli – Coconut Almond.